Known Relatives: None—not even the alien race that I’m ignoring from Muppets From Space. Gonzo is a consummate performance artist with any skills he might need for a particular act. He is continually trying to stretch his horizons, so anything not listed could be learned. Beyond this, he was able, under hypnosis, to lift a piano with one hand, and was uninjured when he dropped it on his head, a little after his spell was broken, and he realized what he made himself do. What we actually know about Gonzo is very minimal. I mean, he’s a Muppet. I suppose one could start with the revelations in Muppets From Space, where Gonzo learns he is actually one of a race of aliens which look much like he does. The problem, though, is that the aliens, while shaped like him, were colored yellow, suggesting that he is not really a member of that race (since TV and movie aliens are almost always identical to each other). One could also start with the “Muppet Babies” cartoon, since he is certainly one of the children. 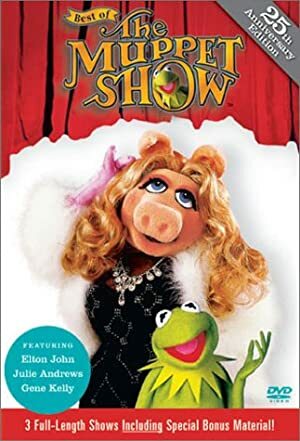 However, that series is set later than the Muppet Show (for obvious reasons), and also violates what little we know about other characters (like Kermit growing up in a swamp, or Scooter and Fozzie knowing the rest of the group before the episodes in which they were introduced). These sources are, therefore, apocryphal. It would seem, in addition, that Gonzo knows little about his background, as well, given his willingness to believe the aliens were his people. In any case, Gonzo was with the Muppet Show from the beginning, starting his professional life as a depressed “artiste,” bored by conventional drama and spectacle. He planned a great show (tap dancing to Top Hat, in a huge vat of oatmeal, for the curious), but was asked to join a movie studio in India before being able to perform the act. He was about to leave the Muppets for good—and was even replaced by another bizarre-looking birdlike creature— when he learned that the studio was really courting “Gonzo the Mediocre” for their star, leaving Gonzo in the lurch. After some soul searching, he was welcomed back to the Muppet Theater, and sank into his oatmeal during the dance. 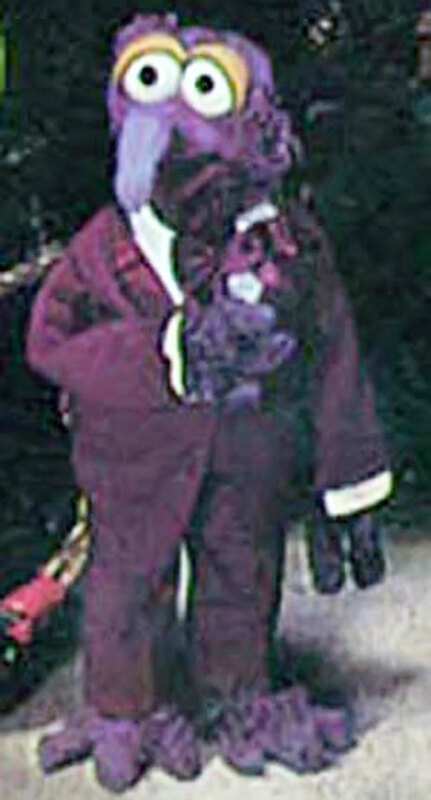 The Muppets brought raisins and cinnamon to help retrieve him, and he has been with the cast ever since, even starring in many of their movies since their semi-retirement. Gonzo is a short, thin muppet covered in short blue-purple fur or downy feathers (it’s very hard to tell), except for his bulging eyes and long, hooked lavender nose. He also has a couple of feathers sticking upward, on top of his head. He typically wears normal street clothes, though a flashy jumpsuit may also be used during his act. Gonzo is weird. He’s that really “artsy” kid you went to school with, who is desperate to do something truly original and amaze everyone who knows him. Gonzo lives his art, and is always looking for the next big thing he can try. Because of his trailblazing attitude, Gonzo is easily swayed by attention. Oh, dear. I have this strange feeling that Gonzo would fit in a bit too naturally in the DC Universe, but I can’t think of a good enough fit. I could see him trying to study any number of heroes, though, to try to determine if they had skills he could use in his act. Equipment: Gonzo usually has an assortment of equipment ready for his act, but nothing that can’t be purchased in a modern society. Pianos (for lifting), cranes, ladders, and huge tubs of oatmeal are not out of the question, but are only used for art’s sake, and never to any other purpose. Gonzo typically travels with a flock of chickens, who have been known to act on his behalf.